The Samsung SCX-4725FN is an all-in-one printer that offers a small footprint and satisfactory speeds across its print, copy, fax, and scan functions. While it's fairly less functional than higher-end printers and not suitable for industrial applications, this unit will likely perform well for home office, small office and home network use. The SCX-4725FN measures 17.2" by 14.7" by 15.2" and weighs 24.7 lbs, making it fairly small, lightweight and portable for a multifunction unit, as many models like this weigh over three times as much. It will fit on a desk alongside other computer equipment, on a table, in a cabinet, or on its own credenza without a great deal of inconvenience. The 4725FN has an input capacity of 250 sheets in its main tray and a 1-sheet manual tray, as well as a 100-sheet output tray and a 30 sheet ADF. It can print to sheets measured A4, A5, Letter, Legal, Executive, Folio, Oficio, ISO B5, JIS B5, and A6, as well as envelopes Monarch, Com-10, DL, C5, C6, and fax and copy to Letter, A4, and Legal sized paper. It can also process transparencies, envelopes, labels, card stock, thick, thin, cotton, colour, pre-printed, recycled, bond, and archive paper. 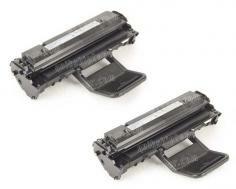 The SCX-4725FN produces up to 24 copies per minute and can produce up to 99 pages at a time in a single copy job. It can reduce and enlarge documents between 25% and 400% on its platen and between 25% and 100% with its automatic document feeder, and can process documents at resolutions of 600 by 300 dpi through the ADF or 600 by 600 dpi on the platen. It also supports ID copy, 2-up, 4-up, poster copy, clone copy, and copy collation. The printer produces 24 pages per minute and prints at a maximum resolution of 1200 by 1200 dpi. It also supports emulating PCL3 and PS3 print languages, if needed. The built-in scanner supports TWAIN and WIA and scans documents at an optical resolution of 600 by 600 dpi and an enhanced resolution of 4800 by 4800 dpi. The fax system runs off of a 33.6kbps modem and supports resolutions between 200 by 200 and 300 by 300 dpi. It includes 4MB of memory (approximately 320 pages), 10 location speed dial, support for PC-FAX and a junk fax barrier to block spammers. The unit has a 2-line, 16 character per line LCD to display messages and 32MB of RAM. It supports Windows operating systems from Windows 98 onward, many flavors of Linux, and Mac OS X from 10.3 onward, and offers USB 2.0 and 10/100-Base TX Ethernet ports for connectivity and easy networking. 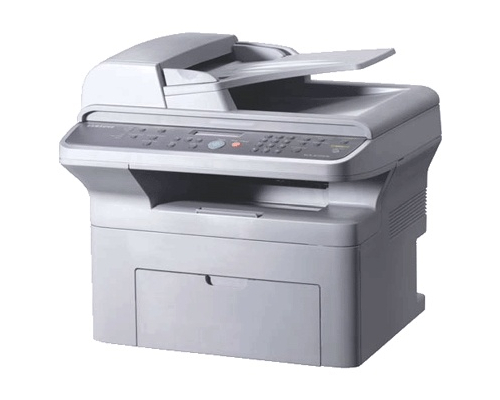 The SCX-4725FN, despite its many functions, lacks sophisticated paper handling options like automatic duplexing, sorting, and stacking, and there are no add-ons available to add these functions if desired. Furthermore, the printer's relatively low paper capacity and memory also cannot be expanded through additional trays or memory modules, effectively disqualifying this unit from heavy-duty office use, as many offices go through at least a 500-sheet ream of paper daily and this unit would require reloading at least twice, producing downtime that would not happen with a larger-capacity printer. Like most printers, a USB cable is not included with this one. While this isn't necessarily a con, this is an inconvenience worth noting and preparing for after purchasing the printer. Review it: "Samsung SCX-4725FN "
The SCX-4725FN ships with a starter toner cartridge rated at 1500 pages at 5% coverage. Replacement cartridges are rated to produce an average yield of 3000 pages at 5% coverage. 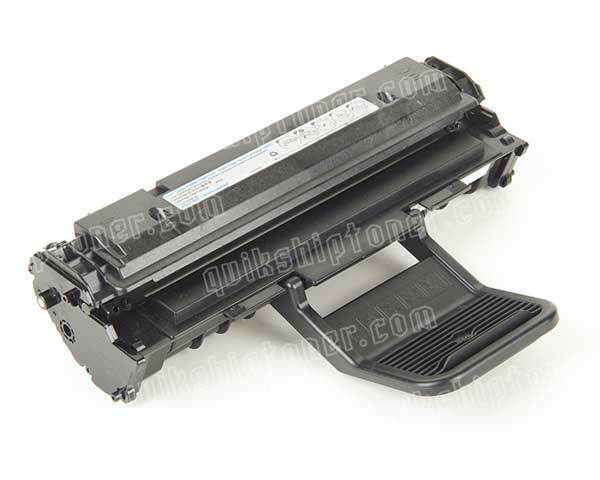 Cartridges from the 4725FN also have a drum unit built into each toner cartridge, like other Samsung and HP printers. This design brings up the costs of toner cartridges, as the drum unit adds bulk and weight, but it does bring down the amount of maintenance that must be done in order to ensure printer function and the amount of downtime, as well as the tedium involved in tracking consumption of multiple sets of consumables.